As Alexis Tsipras cruised to victory in Greeces general election, the outcome must have tasted even sweeter for the man considered the “Don Quixote” of Greek politics. 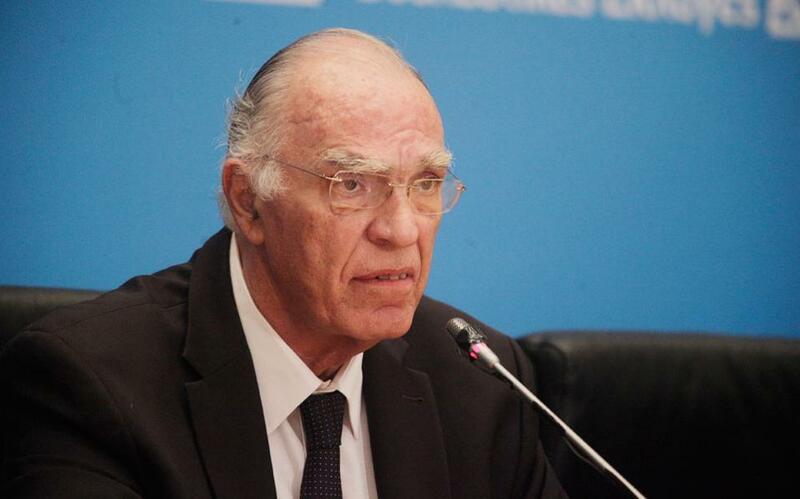 It was a historic day for Vassilis Leventis, the wispy-haired 63-year-old anti-corruption crusader at the head of the Centrists Union party who after a dozen failed attempts had finally secured election. After castigating the corruption of mainstream parties for 25 years, the fringe party of which Leventis is the only widely known member picked up over 186,000 votes nationwide, or 3.43 percent, winning nine seats in the 300-member parliament. It was a dream come true for the after-hours TV talk show host, who has spent half his adult life railing against the corruption and cronyism of the Greeces mainstream political parties, efforts that have earned him the “Don Quixote” monicker, after the main character in Cervantes' acclaimed novel who devotes himself to bringing justice to the world. Leventis became a household name when in the early 1990s he began broadcasting his nightly tirades against the corruption of the country's two dominant parties -- socialist Pasok and conservative New Democracy -- on a small private TV station. At a time when private television was taking baby steps in Greece, he quickly acquired a cult following. An engineer by training with postgraduate studies in Germany, Leventis originally tried his hand at crooning and even cut a vinyl folk record in the 1970s before turning to politics. In a long career of trying unsuccessfully to get elected, he ran for mayor of Piraeus and Athens in 1982 and 1986, created a short-lived Green party in 1984, contested European parliament elections and even stood as MP for both Pasok and New Democracy. In January's election, he picked up over 110,000 votes partly thanks to a group of young supporters who promoted his party message through Facebook. Because of his strong stance on nepotism, Leventis was criticised in the 2015 campaign for placing several members of his family on the party ticket. “A ticket full of Leventes!” harped satirical Pontiki weekly, playing on the party chief's surname which means 'manly' in Greek. Among them were his wife, sister, brother, and a niece and nephew, the newspaper said. The party responded that the specific candidates had “supported Leventis for over 20 years” and that they were so low on the electoral list they were unlikely to be elected. “In the last 10 days a lot of mud has been flung against me and the Centrists Union. I think the people will speak, especially the young. I expect a major result, not just 3.0 percent but over 6.0 percent,” Leventis himself said before the vote on Sunday. For years Leventis called the socialist and conservative parties who alternated in power “scum”, their voters “jackasses”, and in one show even they be struck down by God. But he is also credited with warning against the massive loan-taking that eventually bankrupted Greece, and stating the country was not truly ready to join the eurozone in 2001. His message this time struck a chord with voters weary of mainstream parties. “I voted for Leventis because he speaks sense. None of the other parties seem capable of solving this country's problems,” said Eleni Athanassiou, a 37-year-old. “He’s been trying to get elected for 30 years. Weve already had criminals from (neo-Nazi party) Golden Dawn in parliament, so why not him?” she says. Leventis wants to overhaul the civil service, sack 1,500 parliamentary staff allegedly related to politicians, and cap pensions at 1,500 euros ($1690), especially for retired Greeks who also work unofficially and draw a salary. “The arrival of the Centrists Union in parliament aims to change the reform agenda and clean up the public sector,” he told Vima radio this week.